In part 4 of our series Find, Buy, Sell we will examine the last step in the fix and flip process, the sale and closing of the home. Now that your home has been renovated it’s time to get it sold and some money back in your pocket! The sale is a crucial aspect as you want to start with your best foot forward. When getting ready to sell the house you should first revisit the comparables. In real estate, prices sometimes change weekly, the price you had in mind when you bought the home might have gone up or down. When we are looking to sell a home we look to list the property slightly below market value. This will cause a fast sell. In this business the first time you place a listing on the market is your best chance at getting it sold (The first 2 weeks), the longer the home sits on the market the more people think maybe the seller is overpriced? Is there something wrong with the home? Also the longer you have carrying cost for financing, electric, gas, insurance and what if the market takes a dip on pricing! Don’t hold out for the best and highest price. Price it right from the very start and come out with a bang! Our firm usually shoots to price 3-5% below market value, we can do that because we plan that when buying the home and our offer is in direct relation to that. 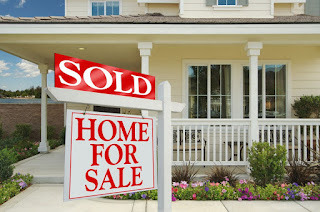 Some Tips on how to get a home sold quickly. · Price! Make sure you are priced right from the start and slightly below market value. This means the homes that have sold, not what is listed. Most listings are overpriced never base your evaluations on what is listed only what is sold. · Make sure the house shows well, landscaping is nice, home is clean and fresh, place Lavender air fresheners throughout to add to the senses. · Consider “Pre-Selling” the home on Zillow. Our firm most often will list a home on Zillow 2 weeks before the MLS. A good time to do this is the last 2 weeks of renovation. The goal is speed, keep the capital moving. About 30% of our homes sell without having to be listed in this period and without a buyer’s agent! Putting the commission in our pocket. · Do a reverse MLS search for all cash buyers 2-5 miles out from the property. Prepare a quality, color property flyer, and mail out to each person asking them to come see your property and write an offer. You will be amazed at how many cash buyers there are in your local area. Often times in our area there is 100-200 cash transactions surrounding a 2-5 mile radius of our homes, don’t you think at least 1-2 of those people would be interested? · Remember your first offer is usually your best offer, give it serious consideration and try to make it work. I have seen too many investors say. “Well I just listed the home and I don’t want to take the first offer I get, let’s give it some time” Time is your enemy in the fix and flip world, if it’s a serious, well-qualified buyer take it and move it fast and onto the next home. · Make sure any offer you get you strictly look into the buyer’s financials, make sure the lender has truly qualified them and that this buyer is committed to the home. The last thing you want is an unserious buyer who in the end may not get financing and now you have spent 40-50 days closing and the property has to come back on the market! This is very costly, take the steps to really put the buyer through “the ringer” on qualification. Set clear expectations upfront you don’t have time to play around. This brings us to the conclusion of our 4 part series Find, Buy, Sell, make sure you leave comments below if you have an questions or want to see additional topics covered or expanded we are happy to join in discussion. Check us out on the web at www.TheBorlandGroupLLC.com and happy , profitable investing!